I do read my reviews on a regular basis, across Amazon, Goodreads, Bookbubs, and blogs, if you send me a link. If you are a book reviewer who has made a blog post on my books , please contact me and we will be happy to share on our social media pages. ⭐These are some of the reviews from Amazon, Facebook and Goodreads, across the world. They are added to regularly. If you wish to have an honest review featured, please use the form on the contact page. This is like 50 shades (but less racy) mixed with a bit of You’ve Got Mail type characters and a Two Weeks Notice backdrop. If you like contemporary romance/ chick-lit, give this one a go! This book is such an emotional rollercoaster, I loved it. I soon got sucked into this story and felt like I was Emma , I felt all her emotions first hand, I had to remind myself many a time that it wasn’t real life. Leanne writes in such a way to make you feel this, she’s a fantastic author who needs to be recognised more. I would love to see this story turned into a film or a Netflix series. Move over E.L.James , L.T.Marshall has arrived !! ⭐⭐⭐⭐⭐ stars Absolutely amazing and emotional read – highly recommended! 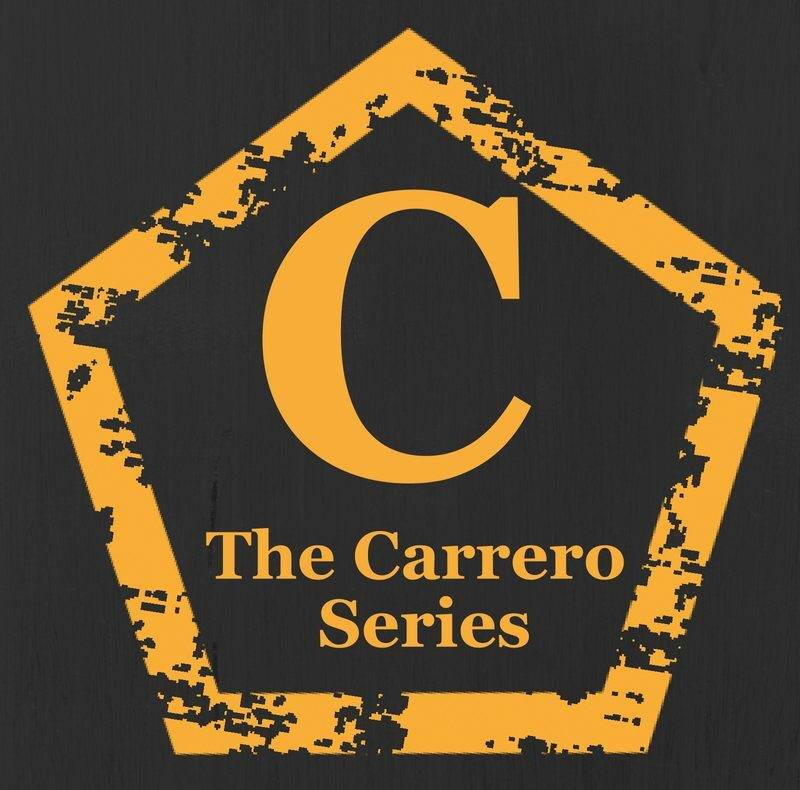 I finished The Carrero Effect by L.T. Marshall yesterday but it’s only now that I feel able to convey my feelings in what I hope will do this book some justice. To say I loved it would be an understatement, I absolutely freaking fell head over heels for this book. Within the first few pages I was gripped, I just had to go on this journey and see where we ended up. Emma is a PA living in New York when she gets a promotion to a PA of Jacob (Jake) Carrero, millionaire and has an army of leggy females all around the country. Emma has to cater to Jake’s every whim and from the very start it’s clear how different they are. Emma is hiding a past and Jake is determined to get her out of her shell and to just relax. At first, I struggled to warm to Emma but by the end of the first few chapters I loved her. Later when we learn of Emma’s past and why she is the way she is, I loved her even more. Her strength and her willpower is still fabulous. I adored the relationship that surfaced between Jake and Emma, be prepared to go through a range of emotions with this pair. I was gripped by this book, I couldn’t put it down, I just had to know what was going on. My emotions went through the wringer and it was a rollercoaster of a read. I don’t want to say too much more apart from go read this book and then download book two as you’ll have to after that ending! I have book two ready to go once my emotions have calmed a bit more!! Absolutely amazing read with some very believable and likeable characters. ⭐⭐⭐⭐⭐ out of 5 stars Another amazing read!! What a fantastic end to a fantastic trilogy. Book 3 was just as amazing as the first 2 and brought everything to a well thought out conclusion. I must admit after the cliffhanger ending in book 2 I couldn’t read the first 3 chapters of this one without crying. The story and writing style draws you in and makes you feel like you are part of the story, you feel all the emotions that the characters are feeling, sadness, anger, frustration and happiness. There were also a few laugh out loud moments making this trilogy a perfect mix for any reader. I will definitely be recommending these books to my friends and family. They will not be disappointed. This series just keeps getting better. The storyline is intense and gripping. I couldn’t put it down. I did nothing for days but read, ignoring all daily chores and even losing sleep as I read until the early hours just wanting to see what happens next. Reading book 2 sent me on an emotional roller-coaster as I found myself not only laughing and crying with the characters but also getting angry at them and telling them, out loud, what they should be saying to each other when things weren’t going quite so well. And that cliffhanger ending, well I almost threw my kindle across the room in frustration. I can’t wait to start book 3 to see if ‘Jacob’ redeems himself (he better!!). Can’t put down, a book that pulls you in and you want to keep reading. Amazingly wrote and can’t wait to start book 2 in the series. Emma showcases what a lot of women go through with insecurities wither from a tough background or otherwise. Well written, emotionally charged. Jake and Emma’s story grabbed my attention from the start, lots of heart in mouth moments, my heart raced reading this book. ⭐⭐⭐⭐⭐ 5.0 out of 5 starsAmazing! I read this book in a day, I couldn’t stop myself! What a crazy variety of emotions I went through whilst reading this book, angry, happy, sad, frustrated. Part way through the book I was feeling secure thinking I knew what was going to happen but once again the author totally threw me and the twists and turns had me on the edge of my seat. And wow – the steamy scenes, who needs Fifty Shades when you have Jake and Emma? !